This is Khanzeer Minister (Chief Minister) of Balochistan - delivering speech while he is drunk (somewhat old video). These are the kind of animals ruling over the dignified nation of Muslims in Pakistan. Today he got canned by the PM who enforced Section 234 of the constitution and dissolved Aslam Raisani\'s government, cabinet and assembly in Balochistan. This happened as a result of over 3 days continuous protests by the brave and dignified Shia Muslims of Pakistan across the country and abroad. The responsibility is now handed over to Governor, Zulfeqar Ali Magzi. Sit in protests continue across Pakistan as the protesters want to see the practical implementation by the Government. **DETAILS** Western attitude towards women must be challenged (2011/05/22 - 20:48) Islamic Revolution Leader Ayatollah Sayyed Ali Khamenei in a meeting with hundreds of Iranian women scholars and top personalities said Islam views women as master of family, adding that the Islamic system must do more to fully revive the genuine, Islamic status of women in society and family. Ayatollah Khamenei in the meeting which was held on Sunday on the eve of the birth anniversary of Hadhrat Fatema Zahra (S.A.) and the day of women, congratulated the auspicious day and said the gathering of large number of women intellectuals shows the Iranian women were moving towards the apex of perfection and that the Islamic system has succeeded to raise intellectual women who hold their own opinion concerning different social issues. Ayatollah Khamenei said problems of the world today stemmed largely from the west\'s wrong attitude towards the status of women in society and family and that the wrong attitude has triggered a crisis. Ayatollah Khamenei said the west has established an unfair equation in society under which the men are the beneficiary and the women are the benefit, and based on the equation, the women must act in such ways as to satisfy the beneficiary. \"This is the most immense oppression ever against women,\" the IR Leader said. The IR Leader touched on an organized and gradual drive by the west to instill the nations with such wrong ideas as to status of women, and that to the same effect, if someone moves to condemn such behaviors that are fed by female attractions, he or she would be treated with western media\'s hue and cry. Ayatollah Khamenei said another outcome of the western oppressive attitude towards women is its open objection to Hijab. \"The west claims that Hijab is a religiously-motivated issue and must not be allowed to appear in atheist societies however its true motivation for that objection is that Hijab challenges its strategic policy in seeking women promiscuity,\" the IR Leader said. 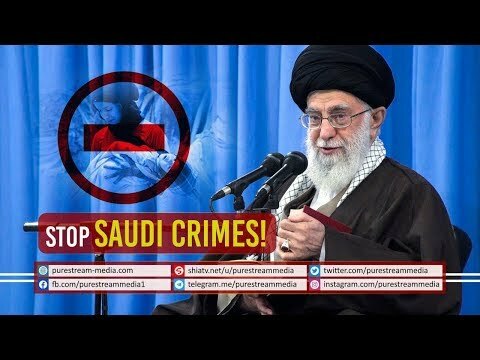 Ayatollah Khamenei noted that based on official reports of relevant global centers, the western attitude towards women has led to a fragile familial structure, speedy growth of shameful trade in women and the phenomenon of illegitimately-born children. He said the Islamic Republic should expressly and relentlessly challenge the western ideas concerning women and meet its responsibility in defending the true status of women. As to status of women in the country, Ayatollah Khamenei said a legal lever was needed in order to materialize the Islamic views concerning women and family, adding that despite all good works done since the Islamic Revolution (1979), there were still many deficiencies as to how women must be treated in family. \"The family environment must become a safe, dignified and tranquil one for women so that they could do their best in fulfilling their main task which is to care the family,\" Ayatollah Khamenei said. Ayatollah Khamenei also said the issue of women and family would be set as topic of discussion and research in the seminars on strategic thoughts in the Islamic Republic of which two seminars have already been staged in the presence of the IR Leader. Ayatollah Khamenei urged the intellectual women to join the seminar, adding that the women-related issue must be studied and tackled based on Islamic teachings and the findings must be followed in future planning. Meanwhile, in the meeting, 10 intellectual women figures expressed their views concerning different cultural, social and political issues. BBC KEEPS INSULTING IRANIAN MUSLIM NATION SAYING, ONLY FEW CAME OUT. Massive turnout again!!! Alhamdolillah. The video you are just watching is the celebration for the victory of Islamic system 34 years back. The Shia and Sunni Canadian Muslims have gathered here today in Calgary downtown to express our extreme anguish and sorrow at the genocide of Pakistani citizens by a small group of terrorists. This representative gathering of Shia and Sunni and community organizations in Calgary has adopted the following resolutions: 1. We express our complete solidarity with the victims of the barbaric massacre in Abbas Town and with all the Shia and Sunni victims of the on-going genocide in Pakistan. 2. We strongly condemn the lack of action by the government of Pakistan which has allowed the foreign-sponsored terrorists of Lashkar-e-Jhangvi and other puppet organizations to brutally murder tens of thousands of Pakistani citizens with impunity. The citizens lost to this brutal assassination campaign are greater than the number of citizens killed in many armed conflicts between countries. 3. We strongly condemn the criminal negligence and complicity of the government of Pakistan evident by the fact that despite the large number of innocent civilians that have been massacred, not even a single murderer has been held accountable. 4. We strongly reject attempts by the intelligence agencies of United States of America through their Saudi and Pakistani counterparts to divide the Pakistani Muslims on sectarian lines by sponsoring extremist organizations and divisive forces. We, the Shias and Sunnis are united in condemning these terrorists and the shameful lack of action by the government of Pakistan which has surrendered to the foreign interests rather than performing its duty towards its citizens. 5. We demand an immediate operation in the country to hold these culprits accountable for their crimes against humanity. 6. We strongly condemn the burning of Christian houses in Lahore today by extremists. What would it take for the Pakistani government to change its shameful lack of action? How many more orphans and widows will it take before the government conducts an operation against these murderers committing war crimes against innocent Pakistani citizens? These foreign funded terrorists are unable to operate in many other nations due to a respectable, dignified and independent government, loyal to its citizens; why have the Pakistani government officials surrendered to foreign pressures? Why are they allowing their brothers and sisters and neighbours to be massacred? We Shia and Sunni and community organizations in Calgary demand immediate action by the government to arrest and punish the perpetrators of the Abbas Town massacre and the individuals responsible for killings across Pakistan. RESOLUTION OF PROTEST: To Consul General of Pakistan Toronto, Canada The Shia and Sunni Canadian Muslims have gathered here today to express our extreme anguish and sorrow at the genocide of Pakistani citizens by a small group of terrorists. This representative gathering of Shia and Sunni mosques and community organizations in Toronto has adopted the following resolutions: 1. We express our complete solidarity with the victims of the barbaric massacre in Abbas Town and with all the Shia and Sunni victims of the on-going genocide in Pakistan. 2. We strongly condemn the lack of action by the government of Pakistan which has allowed the foreign-sponsored terrorists of Lashkar-e-Jhangvi and other puppet organizations to brutally murder tens of thousands of Pakistani citizens with impunity. The citizens lost to this brutal assassination campaign are greater than the number of citizens killed in many armed conflicts between countries. 3. We strongly condemn the criminal negligence and complicity of the government of Pakistan evident by the fact that despite the large number of innocent civilians that have been massacred, not even a single murderer has been held accountable. 4. We strongly reject attempts by the intelligence agencies of United States of America through their Saudi and Pakistani counterparts to divide the Pakistani Muslims on sectarian lines by sponsoring extremist organizations and divisive forces. We, the Shias and Sunnis are united in condemning these terrorists and the shameful lack of action by the government of Pakistan which has surrendered to the foreign interests rather than performing its duty towards its citizens. 5. We demand an immediate operation in the country to hold these culprits accountable for their crimes against humanity. 6. We strongly condemn the burning of Christian houses in Lahore today by extremists. What would it take for the Pakistani government to change its shameful lack of action? How many more orphans and widows will it take before the government conducts an operation against these murderers committing war crimes against innocent Pakistani citizens? These foreign funded terrorists are unable to operate in many other nations due to a respectable, dignified and independent government, loyal to its citizens; why have the Pakistani government officials surrendered to foreign pressures? Why are they allowing their brothers and sisters and neighbors to be massacred? We, the coalition of Shia and Sunni mosques and community organizations in Toronto demand immediate action by the government to arrest and punish the perpetrators of the Abbas Town massacre and the individuals responsible for killings across Pakistan. ESOLUTION OF PROTEST: To Consul General of Pakistan Toronto, Canada The Shia and Sunni Canadian Muslims have gathered here today to express our extreme anguish and sorrow at the genocide of Pakistani citizens by a small group of terrorists. This representative gathering of Shia and Sunni mosques and community organizations in Toronto has adopted the following resolutions: 1. We express our complete solidarity with the victims of the barbaric massacre in Abbas Town and with all the Shia and Sunni victims of the on-going genocide in Pakistan. 2. We strongly condemn the lack of action by the government of Pakistan which has allowed the foreign-sponsored terrorists of Lashkar-e-Jhangvi and other puppet organizations to brutally murder tens of thousands of Pakistani citizens with impunity. The citizens lost to this brutal assassination campaign are greater than the number of citizens killed in many armed conflicts between countries. 3. We strongly condemn the criminal negligence and complicity of the government of Pakistan evident by the fact that despite the large number of innocent civilians that have been massacred, not even a single murderer has been held accountable. 4. We strongly reject attempts by the intelligence agencies of United States of America through their Saudi and Pakistani counterparts to divide the Pakistani Muslims on sectarian lines by sponsoring extremist organizations and divisive forces. We, the Shias and Sunnis are united in condemning these terrorists and the shameful lack of action by the government of Pakistan which has surrendered to the foreign interests rather than performing its duty towards its citizens. 5. We demand an immediate operation in the country to hold these culprits accountable for their crimes against humanity. 6. We strongly condemn the burning of Christian houses in Lahore today by extremists. What would it take for the Pakistani government to change its shameful lack of action? How many more orphans and widows will it take before the government conducts an operation against these murderers committing war crimes against innocent Pakistani citizens? These foreign funded terrorists are unable to operate in many other nations due to a respectable, dignified and independent government, loyal to its citizens; why have the Pakistani government officials surrendered to foreign pressures? Why are they allowing their brothers and sisters and neighbors to be massacred? We, the coalition of Shia and Sunni mosques and community organizations in Toronto demand immediate action by the government to arrest and punish the perpetrators of the Abbas Town massacre and the individuals responsible for killings across Pakistan. Video Tags: We Shia and Sunni and community organizations in Toronto demand immediate action by the government to arrest and punish the perpetrators of the Abbas Town massacre and the individuals responsible for killings across Pakistan. Al-Ghadir Day has been commemorated in the Yemeni capital by Shia community, who believe that on this day Prophet Muhammed (PBUH) appointed his cousin and son-in-law Ali Ibn Abi Taleb (AS) as the leader of Muslims more than fourteen centuries ago in the prophet\'s farewell speech. Prominent members of the Houthi community who spoke at the podium, said, that Al-Ghadir day is one of the most important events to occur in Islamic history- in which Ali ibn Abi Taleb (AS) was dignified and givev elevated status by God, the Almighty. The Houthi religious leader Abdul-Malik al Houthi also addressed the gathering via video conferencing from the north province of Sa\'ada. In his 40 minute speech, the Houthi leader highlighted the pressing issues facing the Muslim world. He said he believes the reason for chaos across the Islamic world- is their leaders who often seek protection and assistance from those he referred to as enemies of Islam. Houthis in Yemen say they look to commemorate Al-Ghadir Day every year by calling on all Muslim nations to relinquish dependency on the West. The Day of Al-Ghadir is significant in the Islamic history which is commemorated every year by Shia Muslims in Yemen. This is an auspicious day which many believe brought about the completion of the holy religion of Islam more than fourteen centuries ago.